German Health Insurance - Private or Public Health Insurance? Home Insurances Germany Health Insurance German Health Insurance – Private or Public Health Insurance? In order to appreciate the benefits that german health insurance has to offer, it is first important to understand the options available. In terms of health care, Germany is reputable for having one of the most thorough and comprehensive healthcare system in the world. The majority of its residents (approximately 85 per cent) are involved in either a voluntary or a mandatory public health programme while the remainder have some form of private care. However, we should point out that the 2007 Health Insurance Reform dictates that all residents must be covered for a minimum of both outpatient and in-hospital treatments. Specific types of examinations and pregnancies also need to be included within this stipulation. Many have noted that the costs of health care plans across Germany are rising. This is due to inflation as well as the demographics themselves. However, governmental interventions and reforms have tried to tackle this problem by encouraging competition between hospitals and therefore, limiting the costs incurred to state health care providers (known as Gesetzliche Krankenversicherung or simply GKV). A concept known as the Gesundheitsfonds took effect on 1 January 2009. This is essentially a very large fiduciary collection and distribution package for all funds placed into the GKV. Unfortunately, this has since caused all 120 german health insurance providers to claim that such limitations are not able to cover their operational expenses. A handful have already filed for bankruptcy. Naturally, all existing clients are offered the possibility to change to a different provider. We should also note that these very same firms are permitted to charge their customers an uncapped supplemental premium in the event that they are unable to satisfy their ongoing expenses. As it often occurs in Germany, a more recent package of regulations came into place. This is known by the tongue-twisting term “Gesetz zur Weiterentwicklung der Finanzstruktur und der Qualität in der gesetzlichen Krankenversicherung”. In essence, these new regulations were meant to reduce the amount of bureaucracy as well as to bolster competition between the providers themselves. For example, the aggregate premiums required lessened from 15.5 per cent to 14.6 per cent. This initially seems attractive. Nonetheless, the firms are still permitted to introduce the aforementioned supplemental costs (an mean figure of 1.1 per cent). Thus, the premiums required (on average) have risen to 15.7 per cent. Another dubious clause was entered into this legislation. The share of the employer has remained fixed at 7.3 per cent of an average monthly income of €4,350 euros and still, the employees themselves are obliged to pay the remaining 7.3 per cent including a supplemental charge of between 0.3 per cent and 1.4 per cent. So, it is once again critical to contrast the aggregate premiums associated with each insurance provider before making the appropriate selection. It should only be expected that additional reforms will take place and once again, that the average premiums will rise while the benefits may be curtailed. Self-employed individuals or those who meet a certain income threshold can select fully privatised insurance. Still, encountering the best German health insurance provider which offers the most amenable rates and adequate coverage levels is worth the time and effort. We should also note that different individuals will naturally have different requirements. They will therefore have to appreciate the system itself in order to select the best options to meet their needs. 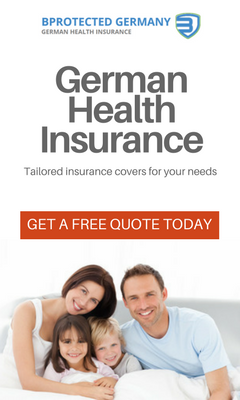 As opposed to existing as a commodity, German health insurance is absolutely essential in the event of an unexpected injury or illness. It only stands to reason that different providers are associated with very specific plans and that their terms and conditions will likewise be entirely unique. The majority of German residents (approximately 70 million) are currently involved within this plan. This is also compulsory for those who have a yearly salary of less than €59,400 euros (€4,800 euros per month in 2018). This entire scheme is managed by just over 120 different providers and each charges a flat rate of 14.6 per cent. This is then augmented by a median supplement of 1.1 per cent of your gross salary (€4,350 euros). Anyone who earns more than these wages will not pay a higher amount. Let us assume that an employee making at or slightly above the previously mentioned threshold is paying €775 euros per month in terms of premiums. His or her contribution will be approximately €425 euros and the employer will pay the remaining €350 euros. Keep in mind that the minimum membership period with any german health insurance provider is 18 months. After this time frame has elapsed, a customer can switch firms after providing two months of notice. This is also viable if the supplemental premium is suddenly changed. There are several benefits associated with GKV plans. These include basic dental needs, inpatient hospital care and outpatient care with a registered medical practitioner (Kassenärzte). This plan does NOT include private doctors or surgeons, dental implants, alternative medicine, vision products or private hospital rooms. European-wide coverage is likewise not included. However, any dependants who are not working will be protected with this package. They are simply required to register with the same health care provider as the paying client. Those who opt for this system can register with any available not-for-profit health care providers involved with the government-sponsored GKV scheme. Large examples include insurers such as DAK, BEK, TK, AOK and SBK. Smaller firms often referred to as “BKKs” are also available although they are associated with fewer members. However, keep in mind that the governmental stipulations require that all minimum benefits remain the same. The premiums might still vary in accordance with newer regulations, so a good amount of research is recommended in order to see what advantages are provided by discrete companies. Examples could include no-claims bonuses, discounted travel plans or free dental check-ups. On a final note, it is wise to make certain that the provider is able to communicate in fluent English although many now offer this amenity as a standard option. Another facet of this programme is that you (along with your dependants) are also required to participate in a long-term nursing care system known as the “Pflegepflichtversicherung”. This will help to cover basic necessities such as the bathing, care and feeding of disabled individuals. Once again, a newer reform package has caused these associated costs to increase. Figures range between 2.35 per cent to 2.6 per cent of your aggregate monthly salary. If you do not have any children, a maximum amount of €110 euros per months is charged. Out of this sum, your employer is obliged to pay €47.79 euros. Keep in mind that supplemental policies that will add to this coverage can be purchased through private providers. These can either be German companies or based internationally. This is often wise if you are looking for access to private hospital rooms, homeopathic alternatives or more comprehensive dental care. There can be times when plans which offer emergency transportation from areas outside of German borders are desired. As this is not covered by the current governmental policies, it could be a wise option for those who travel regularly. There still may be times when a government-sponsored health insurance plan is associated with supplemental coverage from a specific provider. This could also involve group discounts. 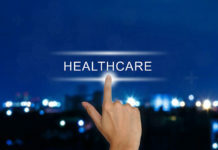 These might not be the best options, as you will have greater flexibility within the market of private German health insurance. 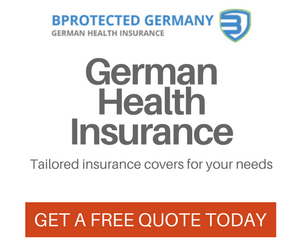 The general benefits of a private German health insurance is that a greater number of treatment options are available and that they are associated with a wider area of geographical coverage. Private individuals can expect more options from the medical community as a whole. In fact, most doctors and hospitals will depend upon the contributions from privately insured individuals in order to fulfil their personal income requirements. It is not uncommon for private patients to be provided with a doctor who speaks their language (optimal for English natives). Approximately 40 different German firms are found within this category and unsurprisingly, a number of discrete plans are available to meet the financial requirements of most budgets. The cost per client is primarily based upon the number of benefits, their age and the possibility of any pre-existing medical conditions (such as diabetes or a congenital heart defect). Since 2010, a sizeable portion of these premiums has been considered to be tax deductible in Germany. Unlike the GKV, this plan requires premiums to be paid for every dependant who is not currently employed. This can be mitigated by agreeing to pay a deductible (this is referred to as a franchise or an excess in some circles). Please note that private health insurance providers in Germany are prohibited to cancel any policy in the event that a claim is submitted. In addition, 10 per cent of all premiums are allocated towards your retirement. One important variable to note here is that unlike GKV insurance providers, private health care firms intended for foreigners are generally not overseen by the state regulatory body known as the BaFin. Even companies which are members might not abide by all of the standards listed in the newer reform package. The main issue is that the German authorities have stipulated that there should be no ceiling in terms of the levels of reimbursement. Additionally, it is not possible to pay annual deductibles exceeding €5,000 euros. There are also potential discrepancies in regards to the calculation of premiums. As of the present, these firms do not supply a German language certificate that is approved by in-country visa authorities. It is still debated if this will change. Many feel that this will revolve around whether or not Germany fully recognises EU directives involving health insurance for those who desire a residency permit. Furthermore, it is best to avoid any policies which are not associated with medical underwriting and provide only limited terms. Pre-existing medical conditions and permanent extensions are not often covered. Those who opt to stay longer than a limited time frame (between one and five years) may find it difficult and quite costly to obtain additional coverage. Another issue is that even those who may have purchased a private plan upon their initial arrival could find that it is no longer approved by the authorities. In order to legally remain in Germany, a permanent plan may be required. If your gross salary (as of 2016 figures) exceeds €56,250 euros per year, you could choose a private plan (PKV) as opposed to a governmental policy. Other individuals who may qualify for this alternative include civil servants, self-employed business operators and any part-time employees or those whose salary does not exceed €450 euros per month. 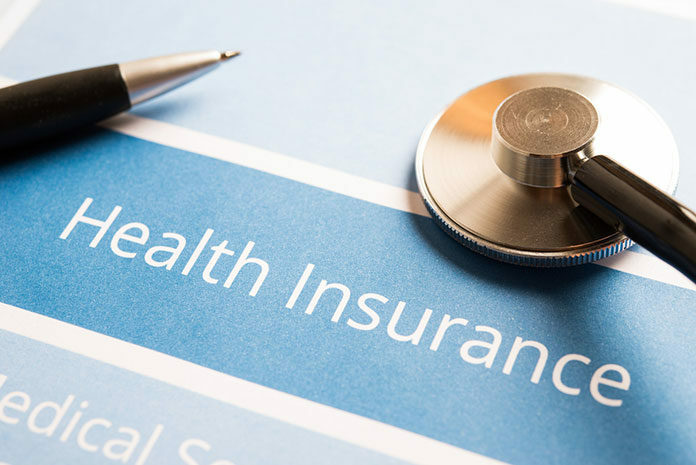 As mentioned previously, if you are earning above the annual threshold stated above, you can switch to a private German health insurance plan after providing two months of notice. This arises from the fact that the government now considers that you are no longer obliged to be a part of the GKV scheme. You can nonetheless choose to remain a voluntary member of the GKV programme. If you wish to be insured privately upon your arrival in Germany, you should immediately notify your human resources department. If this is not performed, there is a possibility that you could be automatically registered into the GKV framework. Please note that this is your decision alone. Your employer is not permitted to influence you in any way with regards to the German health insurance provider that you ultimately select. Should a private health insurance plan offer a certification recognised by the German government (more can be found in Paragraph 257 of the SGB V Arbeitgeberbescheinigung), you will be able to benefit from similar subsidies as would be provided to those within the GKV scheme. This will roughly equate to €309 euros per month as well as 50 per cent of all premiums paid towards nursing care. Should this certification not be present, the employer has the option (but not the obligation) to offer compensation. First, it is illegal to not posses health insurance in Germany. Since 2009, all private insurers are now obligated to accept applicants regardless of their medical situation. This essentially means that if a pre-existing medical condition is present, you will still be able to purchase a basic tariff. Similar benefits are offered and yet, the cost is capped at the maximum rates allowed to be charged by the insurer. This equates to €657 euros per month (adults) and €250 euros per month for dependant children (not including insurance for nursing care). Insurance for self employed who are in good health should still opt for a private insurance company which is willing to accept non-Germans as clients. An English-speaking consultant should be consulted to avoid confusion. Self-employed individuals who were previously insured before 1 April 2007 should confirm that their coverage is still valid within Germany. This usually involves proof that the policy is active as well as the appropriate certification (in German) that can be presented to the relevant visa authorities. Those who opt to keep a foreign insurance plan will still have to pay into the previously mentioned nursing care programme. It could also be a good idea to supplement an existing policy with a sick pay addendum. The difficulty is that few German insurers are willing to cover foreigners who are self-employed. Employers will normally pay a salary of up to six weeks to those who fall ill. Once this time frame has expired, the government insurer covers a portion of this salary (as much as €2,966 euros monthly). This is known as statutory sick pay (Krankengeld) and it remains in place for up to 78 weeks. When taxes are taken into account, this equates to €2,610 euros. Anyone earning less than this should consider a supplemental sick pay policy. This is usually offered at an amenable rate. The same holds true for those who hold a private policy. Regardless, neither option includes permanent disability; they assume that you will be returning to work at some point. It could therefore be wise to opt for a policy which takes into account disability and critical illness. In 2013, European cross-border regulations were formally ratified. These provide you with limited dental and medical coverage throughout the EU. This essentially means that any medical care within an EU-regulated country will be partially reimbursed by your German health care provider. Please note that different policies exist for inpatient and outpatient procedures. It is wise to contact your provider before a journey to obtain the necessary details. The international liaison office can also be contacted at +49 (0)2289530-800 in regards to general questions. Many foreign medical practitioners will only handle private patients. You will then be reimbursed for the equivalent amount associated with the German system. This could only be a small portion of the total cost. Those who wish to be fully covered should therefore choose a dedicated travel insurance policy. Annual packages and single-trip options are both offered. Once again, evacuation is not covered by the German authorities and even separate travel insurance plans might not include this option. Always read the terms and conditions carefully before committing to a specific policy. Dental care can be quite costly in Germany. It is critical to obtain an estimate in regards to extensive work such as bridges, caps, veneers or crowns and to present this document to your insurer before the treatment begins. This can help to avoid being surprised with hefty out-of-pocket fees at the end of the procedure. Any doubts should always be clarified by obtaining a second opinion from a professional. There are even instances when German dentists recommend expensive and superfluous procedures that are entirely unnecessary. All reimbursements are based off of a fixed amount. This varies from case to case. If you do not possess any form of supplemental dental insurance, you can expect to pay anywhere between 30 and 80 per cent in terms of out-of-pocket costs. Also note that this fixed price is based off of minimal standards. It does not include variables such as porcelain veneers, gold caps or other expensive items. These are some of the reasons why supplemental dental policies may be prudent to obtain. There is a thorough network of pharmacies throughout Germany known as “Apotheken”. These are normally denoted by a large green cross or a red letter “A”. They can be found every few blocks and some are open 24 hours a day. State policies will generally reimburse you for generic drugs. This still includes a co-payment and will depend upon the aggregate cost of the medication itself. As these costs can be quite high, the German health insurance system is attempting to enact legislation to mandate discounts from the larger pharmaceutical firms. It is the obligation of the pharmacy in question to provide you with the lowest available price for this medication when a prescription is presented from an accredited physician. Those who are privately insured will be covered for all brand-name medications as long as they are accompanied with a valid prescription. The only difference is that you will have to pay the full up-front cost of this medication. Documentation will then be submitted to your insurer to obtain a reimbursement. This does not apply in reference to governmental plans. Finally, over-the-counter medications are not associated with any type of reimbursement. Next articleA step closer to wage-equality in Germany! issue with your content. Thanks again I will share on Twitter. been a long time reader of your posts. I enjoyed this site. It’s an amazing article. Finally something helpful for this topic.